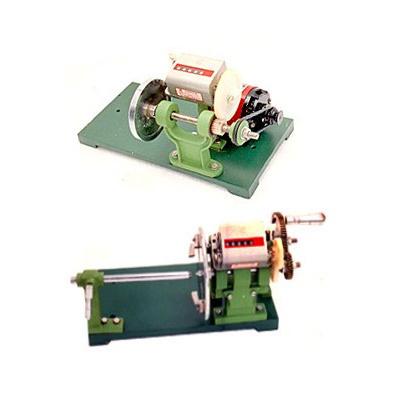 A Complete range of winding machines ideal for educational institutes. These tabletop units, are used for training students in winding of small transformers & realy coils. Regular and free winding can be executed. * Motor : 1 / 12 H.P. B.M.P. and Equipment Company, a company committed and dedicated to Winding Machines Industry. In early 1960, we started with Hand Operated (Manual) winding machines, Subsequently we developed Automatic Bobbin/Transformers winding machines of Single and Multiple coils. We have put up constant efforts to carryout Research and Development for upgrading above Winding Machines. Large-Medium and Small Scale Industries are our valuable clients and they are fully satisfied with Quality and Technology.